Why Quality Home Doors are So Important | G&S Contracting, Inc. When it comes to updating your home, quality makes a huge difference! Not only do quality materials keep your home looking sharp and up to date, they also ensure your home is protected for years to come. This is true for home doors. Choosing a quality home door will help protect your home from weather and intruders as well as creating a beautiful image for your home. There are several different functions that a door must fulfill. These vary depending on if you are looking for an interior door or an exterior door. It is exterior doors that need to be the most versatile of home doors. Exterior doors must be able to serve several functions simultaneously. First, they must protect your home from the weather. This is one of the basic essential functions of a door! Whether rain or shine, exterior doors protect your home. Exterior doors must also secure your home. The best home door will provide secure locks to keep your belongings safe and secure. Finally, exterior doors provide a beautiful look to your home. You must choose the door carefully to ensure it gives your home the design you desire. With all these functions to fulfill, it is no wonder that quality doors are so important! You don’t want to leave the integrity of a home door to chance. As you choose quality doors, your home will increase in value and remain secure and beautiful. As you choose home doors, contact us. 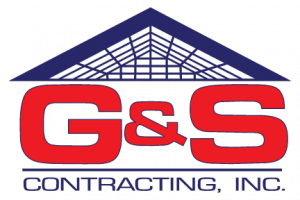 Our staff at G&S Contracting, Inc. is ready to help you choose the best quality doors for your home and install them with perfection!